Image: Matt Winkelmeyer/Getty Images for TBS/Getty Images. Boy Meets World fans, grab some tissues, because Topanga Matthews (née Lawrence) got married in real life, and her wedding photos are absolutely stunning. 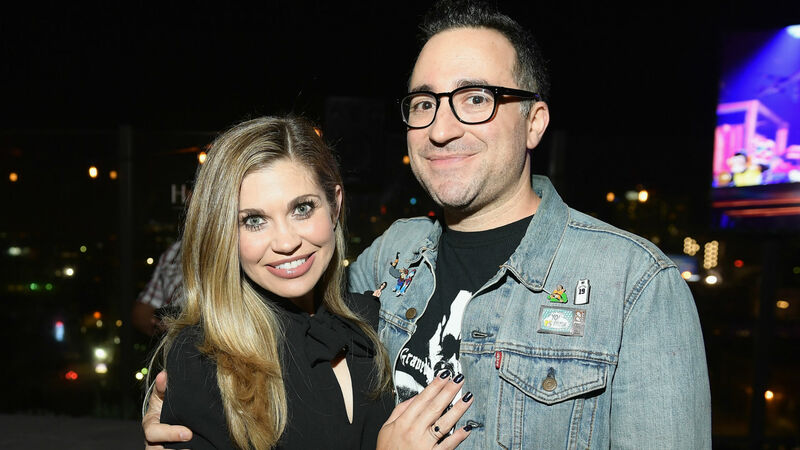 Danielle Fishel married Jensen Karp, a producer on TBS' Drop the Mic, on Sunday, the couple announced on social media the same day. The two were also kind enough to share several photos taken by photographer Jillian McQuerrey on their special day. The images will seriously bring a tear to your eye — that's how gorgeous they are. Next to one picture of Karp staring at Fishel in her beautiful wedding dress, she tweeted, "That's Mrs. Karp to you." Fishel shared another photo on Instagram of herself with Karp, which she captioned, "Mr. & Mrs. Karp. Established 11/04/2018." Karp also posted a picture on Instagram of the newlyweds, which he sweetly captioned, "Today I married my soulmate. We were surrounded by family and friends and it was the best day of my life." He then hilariously added, "I also ate 3 donuts after dinner. Unrelated." If that doesn't make you smile, he ended his caption by writing, "@daniellefishel, I love you so much and thank you for giving me this smile." How adorable is that? They are clearly meant to be. Now, let's take a moment to look at the photos. Fishel and Karp got engaged in March. At the time of their engagement, Fishel revealed exactly how the special moment happened. Next to another cute picture of the couple, she shared on Instagram on March 22, "I woke up today thinking it would be a normal day and it was anything but normal. I put on my Genghis Cohen t-shirt and went to see @jensenclan88 at work where I proceeded to screw up a very romantic marriage proposal by being too efficient (this is very on brand for me). The future Mr. and Mrs. Karp are now engaged and no one is more excited than I am." Karp posted the same photo as Fishel on Instagram on March 22 and wrote, "We got engaged today. I don’t have anything witty or funny to say to accompany this picture. She is just the greatest person in the world and to imagine someone I went to high school with was always my person, is remarkable. You never know." That's right, they went to high school together. It's not entirely clear how long they dated before getting engaged, but Karp shared an Instagram of Fishel in June 2017, and she also gushed about Karp on Instagram in November 2017. Fishel was previously married to Tim Belusko, and they finalized their divorce in 2016. It's clear Fishel and Karp couldn't be happier than they are in this moment, and who can blame them? Let's send them all of the congrats in the world.